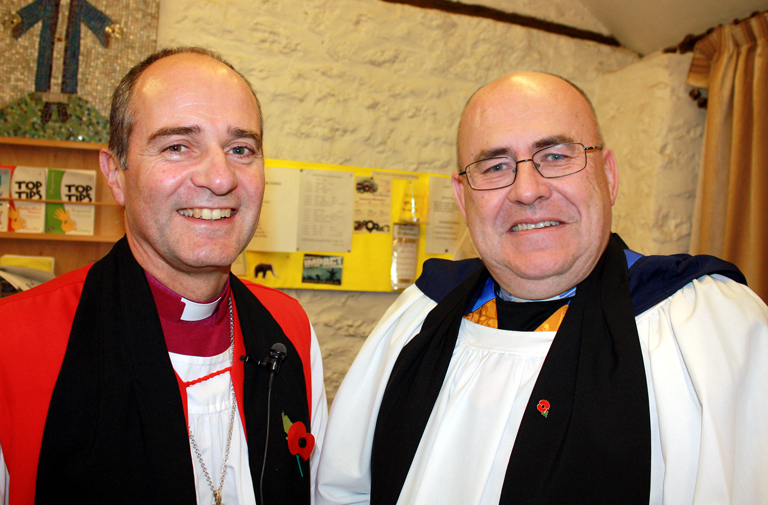 Clive Deverell was licensed on 10 November as Anglican Team Minister in the West Swindon & the Lydiards Church Partnership. Clive’s journey into and through ministry started a long time ago. Brought up in the 1960s and 1970s in Dorset, his personal commitment to follow Jesus came following spending time as a late teenager at a Franciscan friary in Cerne Abbas where he saw and felt the depth of faith the brothers there had. He started to consider ministry and a Church Army officer in the Parish suggested he do some work with him. Clive worked as a Church Army officer in Aylesbury, Milton Keynes (twice), Holloway and Central London, Pitsea in Essex and in Hampton and Paston in Peterborough doing parish work, youth work, church planting, community building and working with homeless people. “My call to ordained ministry began some seven years ago with a former colleague encouraging me to consider ordination but up popped that Jonah in me again. I never felt that God would use me in such a way. It was only after moving to Peterborough and receiving the same encouragement to test out God’s calling did the process towards ordination begin, followed by training and a curacy. “It has made me realise many things but mostly this: that God continues to call, challenge and use us, however unworthy we might feel on occasions,” he concludes. Clive admits his sense of humour “can be a tad dry”. He follows AFC Bournemouth and is a member of their exiles club; he is also an Old Blandfordian, enjoys quizzes, walking the theatre and film.